How Do Age Gaps Affect Relationships? John Stamos and Caitlin McHugh are engaged and commentary regarding their 23-year age gap has erupted. But what does the data say about May-December relationships? 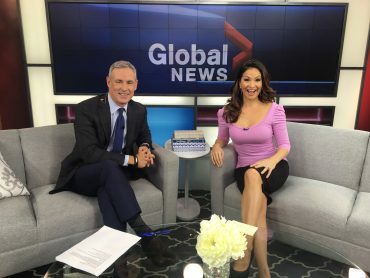 Jess discusses with Jeff on Global TV’s The Morning Show. 1. What do you think of a 23-year age gap? Can a couple that is more than two decades apart really make it work? (beginning with how they treat each other and how they manage conflict) before I’d be worried about age. 2. Why are people so critical of these types of relationships? Many of us are quick to criticize other people’s relationships because it helps us to avoid looking in our own closets. By suggesting that Stamos and McHugh are bound to divorce, it distracts us from our own fears with regard to our own relationships’ fragility. People make marriages work with big income gaps, political disparities, cultural differences and even geographical separation — we can manage an age gap if we’re willing to put in the work. 3. What does the data say about age gaps? The reality is that the risk of divorce increases with age gap. One study suggests that a five-year age gap statistically means you’re 18 percent more likely to divorce (versus just 3 percent with a 1-year age difference), and that rate rises to 39 percent for a 10-year age difference. 4. Are there any benefits? Of course. You likely have separate social circles which can offer the dual benefit of greater social support and differentiation (leaving space for individuality and growth). I think people of different generations may be more inclined to accept the fact that one person can’t fulfill 100% of another’s needs. 5. What can you do to make it work if you have a big age gap? Don’t avoid the topics related to the future. Some of the challenges with age gaps include major lifestyle shifts that arise with age — sleep, energy levels, hormonal shifts and health concerns. Talk about how you plan to manage these before they arise so that you’re prepared and on the same page. It’s less stressful to argue about and come to terms with a hypothetical challenge than to do so once the (stressful) challenge arises.